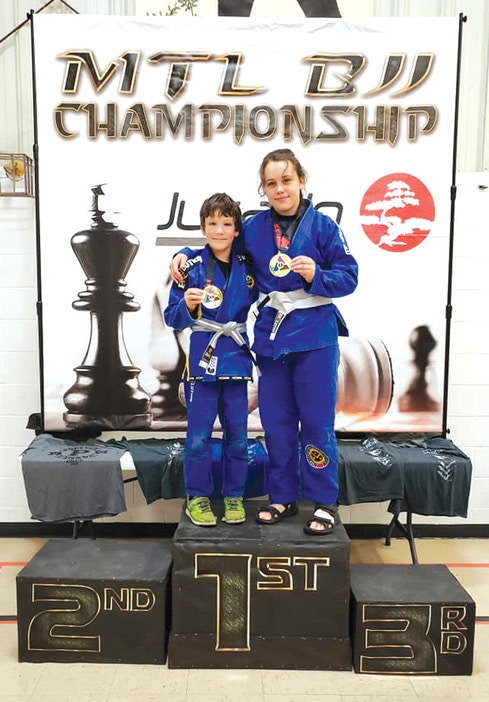 Ebo Martial Arts Academy competed at the Montreal Brazilian Jiu Jitsu Championship (MTL BJJ), July 28 in Oka, Quebec. Two of Ebo’s students, Kayla Steele and Shawn Dumoulin won first place. Kayla, aged 14, competed in the category for 14 -15 yrs old, white belt division (boys). Keyla is a girl, they didn’t have any girls for this category and they asked her if she would like to fight in the boys’ category. She said “yes sure,” and then she fought and won in this division. 10-year-old Shawn competed in the 10-11 yrs old, yellow-belt division (boys) category and also took home first place.